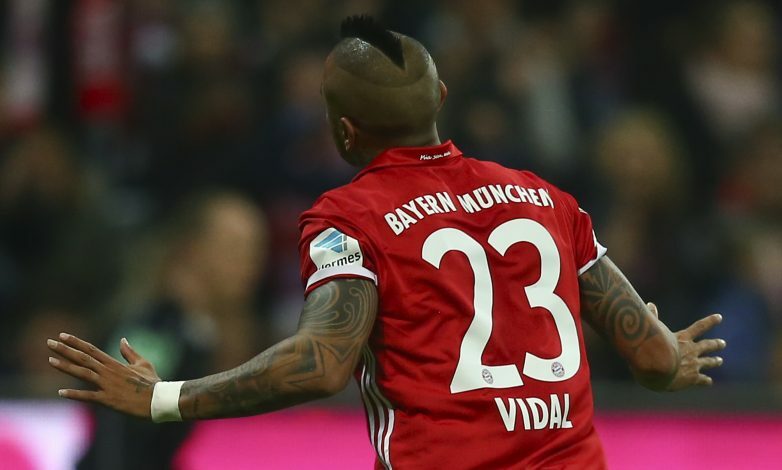 Chelsea have received a huge boost in their bid to sign Bayern Munich star Arturo Vidal. Over the past few months, several reports have claimed that Chelsea boss Antonio Conte is keen to bring Vidal to Stamford Bridge. The Chile international has so far gone through a challenging period at Bayern this season, falling out of favour with new manager Carlo Ancelotti. Conte, meanwhile, is looking for January reinforcements to bolster the club’s hopes of winning back the Premier League title. 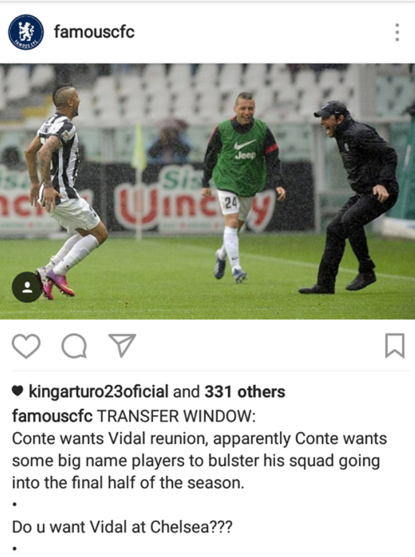 And Vidal has now dropped a massive hint he could make a move to the Premier League, by liking a fan post on Instagram. The post claimed that Antonio Conte was keen on a reunion with the Chilean, who he managed at Juventus for three seasons after the midfielder’s switch from Bayer Leverkusen back in 2012. And now, it seems the 29-year-old could move to the Stamford Bridge this month if Bayern decide to cash in. Several reports claim Chelsea are preparing a bid worth £34 million for Vidal. However, Bayern are most likely to hold out for a bid nearer to £40m. Vidal will fit into Chelsea’s system perfectly. Conte is deploying a two-man central midfield flanked by wing-backs. While it is difficult to opt for a more reliable pairing than N’Golo Kante and Nemanja Matic, Vidal would definitely bring in extra creativity to improve the Blues. At 29, the Chilean is running out of years if he wishes to try his luck in the Premier League. But at Bayern, being a regular starter, he is guaranteed a shot at the Champions League title this season, and almost certainly another Bundesliga winners medal. Although he could have the chance to pick one up with Chelsea also, given the way the Premier League title race is going now.